You are the last of your kind on an abandoned planet. 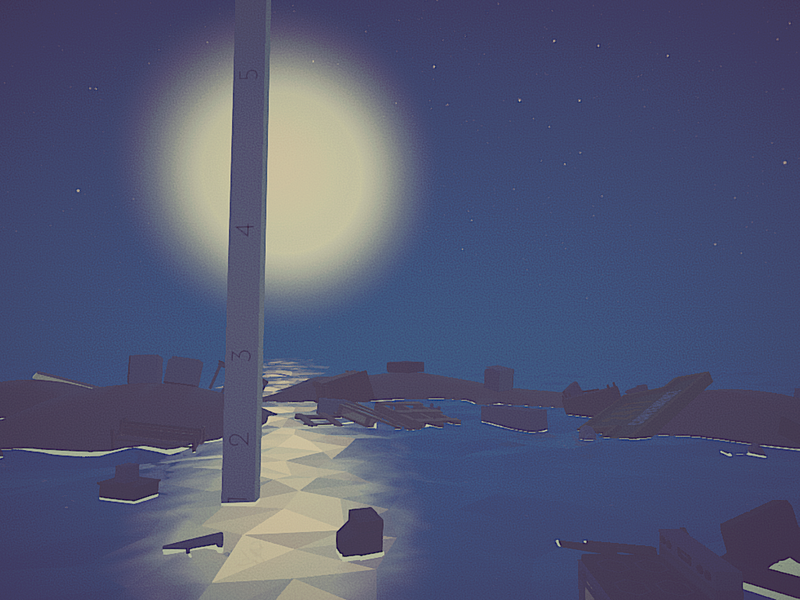 The ocean level is rising every night and you must build a structure to stay dry. 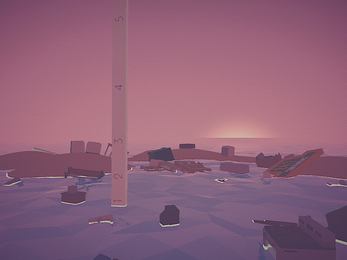 Mudflat is a physics based simulation game where you stack and weld objects in order to avoid the ever increasing tide. 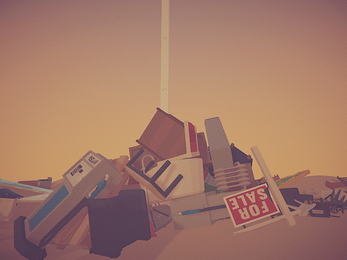 During the day while the tide is low you can pick up and weld objects into a structure. 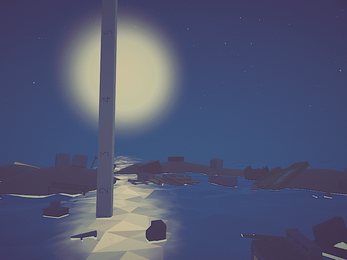 At night when the tide rises, you can use this tower to stay dry. The tide marker shows you how high the tide will be each night so that you can plan accordingly. * Welding objects together increases the stability of your structures and allows you to move multiple objects as a unit. Great concept but the controls and standing on top of things needs adjusting!!!! 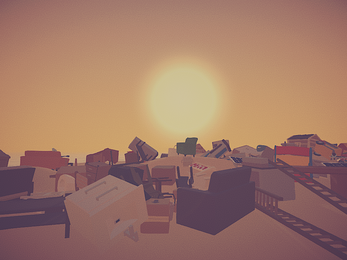 takes a lot of practice to get one item on top of the next, spent a whole day trying to get one small box on top of a larger one! took a few games to get the hang of it. 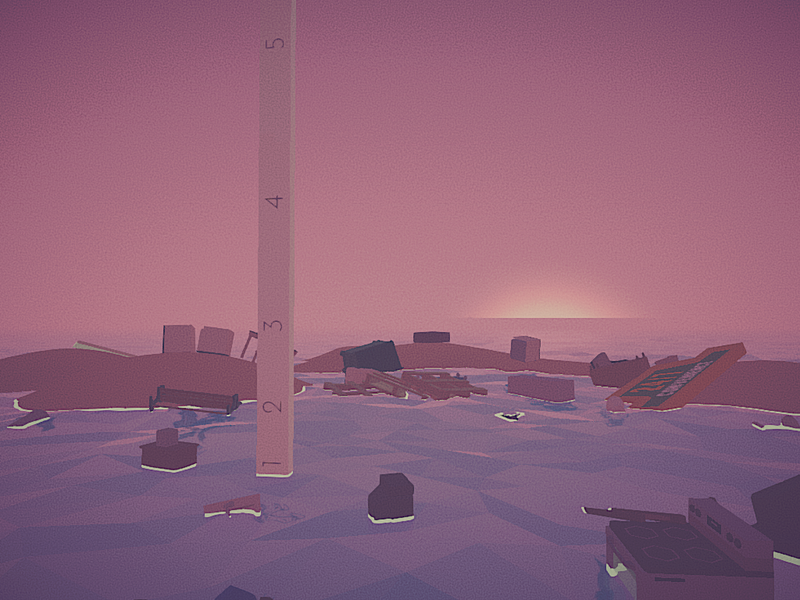 The biggest problem is trying to stay on the items even when I had a big board I was standing on that was flat my character would move in small increments and if I touched him I would somehow fall off and drown! If the item control were tweeked and the standing problem fixed it would be a good game but right now ehhhhh can be is just plain frustrating in the beginning but fun to play even with that! Just that small control thing and you got a great game! good job! Hey thank you so much for playing and for the feedback! The game is only two weeks old so yea there are a bunch of little control tweaks that it needs. I'll take your advice into consideration during the next update and will see if I can get it to be a better experience for you. Hey that's great! I appreciate it and hope you do decide to play it. It's just a small little challenging experience but even I love playing it and I made it! Hey thank you so much for the feedback! Please do post a video here. I know exactly what you mean with the grabbing - there is actually a delay which is probably a bit too long before it registers that you want to grab an object. This was to simplify the controls so you can use left click for inspect and also grab. We wait a certain amount of time before grabbing to see if you release (for inspect). Anyways - I will shorten that a bit and see if that improves it for people. I wanted to keep the settings simple, but I think I will add a move speed/mouse sensitivity option in the menu for people. Regarding day length, I didn't really know what would be ideal for people, but I will try adding another 45 seconds to it and see how well it goes. Keep an eye on my dev log as there should be an update with these changes later today or tomorrow. the game is great! it is an innovative concept. This game needs A LOT of updates though. if you stand on an object and grab it, you can ride it. the game is a bit laggy, but that might just be on my side. Overall, this is a great game, but needs to be polished. Hey thanks! Yea - I started it last week so it's still got a lot of little things that need addressed. There's a lot of physics going on of course so you might see some lag on less beefy rigs but I'll see if I can adjust any of that to make it less demanding. Hi everyone! Thanks for checking out my game. If you have any bugs or issues please feel free to contact me directly via itch or right here in the comments section.